Could it be an Android tablet? Update: Nintendo has denied rumours that the Nintendo NX will be based on Google's Android OS. "There is no truth to the report saying that we are planning to adopt Android for NX," it told The Wall Street Journal. Then again, it also denied rumours that it would put games on smartphones - and then announced it would be doing just that. The idea of an Android-based operating system isn't far fetched, so we can't help but wonder if Nintendo has at least toyed with the idea. We won't know anything for a while - Nintendo says it won't talk about the NX until next year. According to an unnamed insider the new Nintendo NX is set to be running Google's Android operating system. Speaking to one of Japan's biggest newspapers, Nikkei, the Nintendo leaker has it that the new device is going to house an "operating system loaded with Android." With Nintendo historically always using both its own hardware and its own in-house developed operating systems that all sounds like complete nonsense. 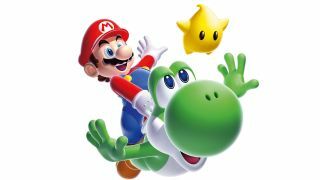 The justification for it being considered though is that it will allow third-party developers a quicker - and easier - route into creating content for the Nintendo NX. That certainly has to be a concern for Nintendo given that third-party game-makers have been ditching support for the Wii U in their droves. And for any new hardware being released content is king. If the Nintendo NX can hit the ground running, when it does finally release, with a big catalogue of games, from a variety of developers, then it stands a better chance than the mega-flop the Wii U has become. The Android OS though is reportedly only being considered as a possibility for the Nintendo NX with nothing final being decided. As well as the Google operating system offering a clearer path for third-party devs it will also save a bundle on development costs too. Having the new NX operating more like an Android tablet might also make sense given the design of the Wii U with its tablet controller. If it can ditch the base unit and contain all the necessary hardware in the tablet alone, casting content to the screen or allowing you to play on the go, it could be the perfect mix of console and handheld. This would then have the Nintendo NX being less of a direct competitor to the likes of Sony and Microsoft than to the sort of market Nvidia is trying to tap into with its SHIELD tablet and console releases. You might though reasonably see this as just some pre-E3 marketing bluster, but with Nintendo having stated the new device is not going to be at this year's show that seems unlikely. What do you think, would this be a good move for the NX or make it the least Nintendo-y console it's ever released? What does the Nintendo NX need to do to succeed?